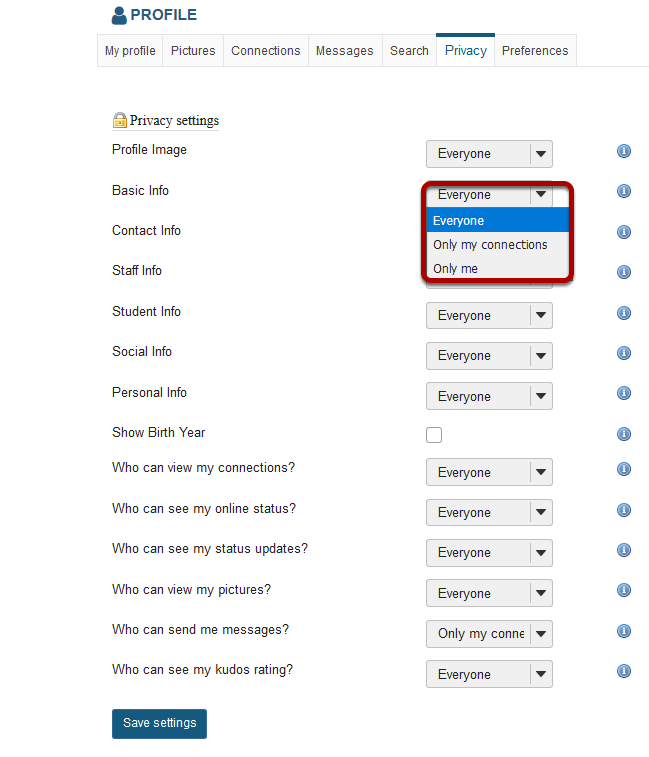 Sakai Community DocumentationSakai 19 User Guide (English) ProfileHow do I change my privacy settings? 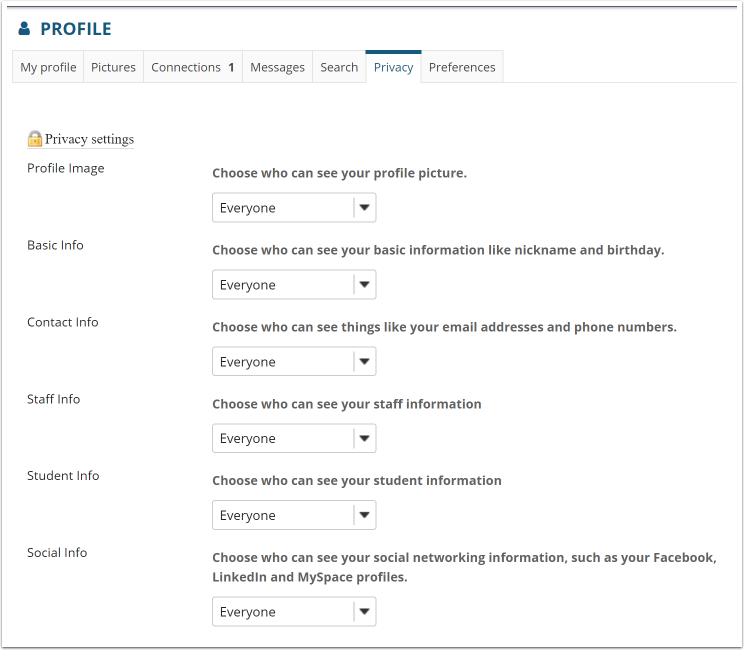 Prev: How do I send a message to a connection in Profile? 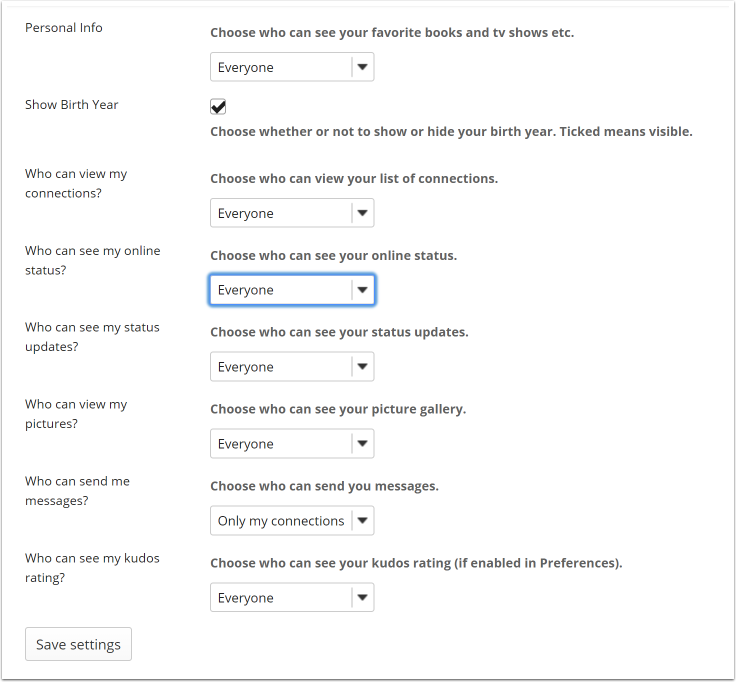 Next: How do I set my notification and other profile preferences?